Tonight, we drink! 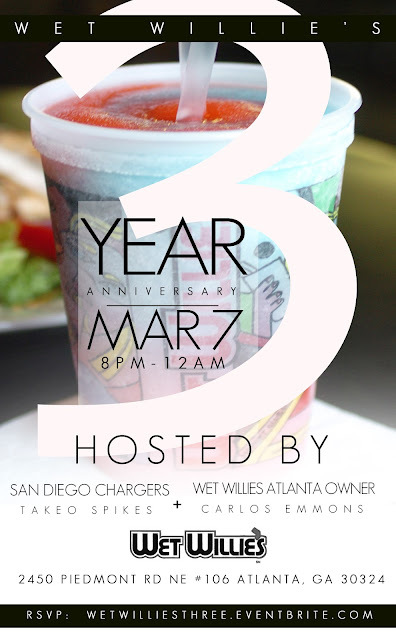 The crew over at Wet Willies ATL is celebrating 3 years in the game here in the city with a slightly over the top soiree hosted by Takeo Spikes of the NFL's San Diego Chargers and the franchise's owner, former NFL player Carlos Emmons. This is where you need to be! Follow Wet Willie's ATL on Twitter or LIKE Wet Willie's ATL on Facebook.